Our primary research goal is to understand how visual information is represented by the visual system and how it is encoded and integrated into memory. What constraints do visual processing and prior knowledge impose on information encoding? How do visual representations transform from perception to working memory to long-term memory? How do we store information about items that are strongly related to other items or to the context? Our research approach draws on formal models to understand the common ground between vision and memory. In particular, we develop behavioral and functional neuroimaging paradigms designed to tap what information is represented and what information persists in visual memory, and use Bayesian, connectionist and information theoretic tools to formalize the underlying memory representations. Our research has focused on three core areas: the representations involved in visual working memory and visual long-term memory; the nature of our existing knowledge of objects and scenes; and what kinds of subtle statistical regularities observers learn from the world. One major concentration of our research has been investigating the capacity of long-term memory for visual information. In particular, we have focused our research not on how many items observers can remember, but what they remember about those items and what might support this massive visual long-term memory capacity. We have found evidence that long-term memory can not only store thousands of objects, but also can store those objects with a remarkable amount of visual detail. Furthermore, this capacity seems to be mediated by our knowledge about these objects: the more conceptually distinct an object or scene, the better we are able to remember it. Recently we have begun to examine the representation of visual stimuli in long-term memory using psychophysical methods, focusing on the fidelity of memory for particular features (like color), as well as the extent to which visual objects are stored in memory as single bound units versus independent, unbound properties. Brady, T. F., Konkle, T., Alvarez, G. A. and Oliva, A. (2008). 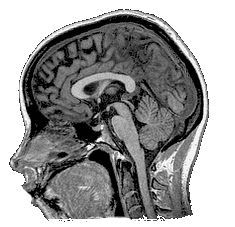 Visual long-term memory has a massive storage capacity for object details. Proceedings of the National Academy of Sciences, USA, 105 (38), 14325-14329. Abstract. Open Access on PNAS website. Project Website (includes stimuli and demos). PDF. Brady, T. F., Konkle, T., Oliva, A. and Alvarez, G. A. (2009). Detecting changes in real-world objects: The relationship between visual long-term memory and change blindness. Communicative & Integrative Biology, 2:1, 1-3. Abstract. Open Access on CIB website. PDF. Konkle, T., Brady, T. F., Alvarez, G. A. and Oliva, A. (2010). 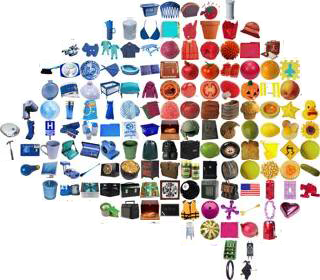 Conceptual distinctiveness supports detailed visual long-term memory for real-world objects. Journal of Experimental Psychology: General, 139(3), 558-78. Abstract. PDF. Brady, T. F., Konkle, T, and Alvarez, G.A. (2011). A review of visual memory capacity: Beyond individual items and towards structured representations. Journal of Vision, 11(5):4, 1-34. Abstract. PDF. Open Access on JoV website. Brady, T. F., Konkle, T.F., Gill, J., Oliva, A. and Alvarez, G.A. (2013). Visual long-term memory has the same limit on fidelity as visual working memory. Psychological Science, 24(6), 981-990. Abstract. PDF. Brady, T. F., Konkle, T., Alvarez, G.A., and Oliva, A. (2013). Real-world objects are not represented as bound units: Independent forgetting of different object details from visual memory. Journal of Experimental Psychology: General, 142(3), 791-808. Abstract. PDF. De Brigard, F., Brady, T.F., Ruzic, L. and Schacter, D.L. (2017). Predicting false memories: A simple learning manipulation of higher-order regularities to predict differences in false recognition rates. Memory and Cognition, 45(1), 105-120. Abstract. PDF. Brady, T. F., Schacter, D.L., and Alvarez, G.A. (in revision). The adaptive nature of false memories is revealed by gist-based distortion of true memories. Brady, T. F., Störmer, V., and Alvarez, G. A. (submitted). 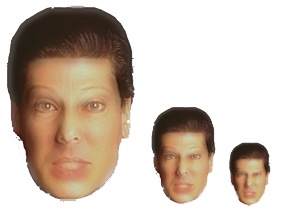 The role of meaning in visual memory: The N170 predicts memory for Mooney faces. When we perceive the visual world, we bring to bear prior knowledge about the things we see. How does such knowledge affect the amount of visual information we can hold in mind at once? Nearly all measures of working memory capacity have assumed that capacity is independent of prior knowledge, and have attempted to quantify how many items observers can remember (e.g., we are limited to 4 items). Rather than assuming observers' representations are based on the storage of a fixed number of independent items, we have investigated working memory capacity from a constructive memory perspective: In contrast to the predictions of existing models, we have found that observers take advantage of prior knowledge when representing a display in working memory, and represent the display hierarchically - that is, they encode structured representation consisting of not only individual items but also a summary or visual texture of the display. Brady, T. F., Konkle, T., & Alvarez, G. A. (2009). Compression in visual working memory: using statistical regularities to form more efficient memory representations. Journal of Experimental Psychology: General, 138(4), 487-502. Abstract. PDF. Brady, T. F. and Alvarez, G.A. (2011). Hierarchical encoding in visual working memory: ensemble statistics bias memory for individual items. Psychological Science, 22(3), 384-392. Abstract. PDF. Brady, T. F., and Tenenbaum, J.B. (2013). A probabilistic model of visual working memory: Incorporating higher-order regularities into working memory capacity estimates. Psychological Review, 120(1), 85-109. Abstract. PDF. Suchow, J. W.*, Brady, T. F.*, Fougnie, D. and Alvarez, G. A. (2013). Modeling visual working memory with the MemToolbox. Journal of Vision, 13(1), 9. Abstract. PDF. Download MemToolbox. * = authors contributed equally. Suchow, J., Fougnie, D., Brady, T. F. and Alvarez, G.A. (2014). Terms of the debate on the format and structure of visual memory. Attention, Perception & Psychophysics, 76(7), 2071-2079. Abstract. PDF. Brady, T. F. and Alvarez, G.A. (2015). No evidence for a fixed object limit in working memory: Ensemble representations inflate estimates of working memory capacity for complex objects. Journal of Experimental Psychology: Learning, Memory and Cognition, 41(3), 921-9. Abstract. PDF. Brady, T. F. and Alvarez, G.A. (2015). Contextual effects in visual working memory reveal hierarchically structured memory representations. Journal of Vision, 15(15):6. Abstract. PDF. Open Access on JoV website. Brady, T. F., Störmer, V., and Alvarez, G. A. (2016). Working memory is not fixed capacity: More active storage capacity for real-world objects than simple stimuli. Proceedings of the National Academy of Sciences, 113(27), 7459-7464. Abstract. PDF. Fougnie, D., Alvarez, G.A., and Brady, T. F. (submitted). If at first you don’t retrieve, try, try again: second chances reveal more information in working memory. Another concentration of our research has been investigating our ability to learn statistical regularities from the world. We've investigated this in two contexts. The first is visual search: We frequently search for objects during our everyday lives, and the scene we find ourselves in helps predict where the object we are searching for will be located. We've investigated what information we extract and remember as we perform visual search tasks, particularly what we learn by performing a search over and over again in the same context (contextual cueing), and what we learn as we perform a particular search (rapid resumption). In addition, we've investigated people's ability to learn more high-level regularities, like complex temporal sequences. We've shown that people are sensitive to statistical regularities in the order stimuli appear: we learn both the order of particular items and of higher-level patterns, like the order of the semantic categories of the stimuli. Furthermore, we seem to do this almost entirely implicitly. Learning at the level of semantic categories probably helps us compress the amount of information we need to store, since any regularity we learn applies to many possible individual items. Brady, T. F. and Chun, M. M. (2007). Spatial constraints on learning in visual search: Modeling contextual cueing. Journal of Experimental Psychology: Human Perception & Performance, 33(4), 798-815. Abstract. PDF. Brady, T. F. and Oliva, A. (2008). Statistical learning using real-world scenes: extracting categorical regularities without conscious intent. Psychological Science, 19(7), 678-685. Abstract. PDF. Junge, J. A., Brady, T. F. and Chun, M. M. (2009). The contents of perceptual hypotheses: evidence from rapid resumption of interrupted visual search. Attention, Perception & Psychophysics, 71, 681-689. Abstract. PDF. Finzi, R.D., Postle, B.R., Brady, T. F., and Aron, A.R. (in press). Unexpected events disrupt visuomotor working memory and increase guessing. Psychonomic Bulletin & Review. Abstract. Carr, E., Brady, T. F., and Winkielman, P. (in press). Are you smiling or have I seen you before? Familiarity makes faces look happier. Psychological Science. Abstract. PDF. Human scene categorization is remarkably rapid and accurate. But what allows this rapid recognition and what do we ultimately extract from an image of a visual scene? We have examined this question from a number of different angles. For example, we have shown that observers implicitly learn that certain kinds of scenes tend to follow each other; and that memory performance with scenes is nearly identical to performance with objects, suggesting scenes and objects are treated at similar levels of abstraction in memory. Most recently, we've examined the neural correlates of scene representation. What determines the brain's representation of a scene -- is it a combination of objects that constitute a scene (e..g, whether the scene contains trees or buildings) or is it the spatial structure or geometry of the space? (e.g., whether the space is very open or closed). Using fMRI multi-voxel pattern analysis, we have examined whether the neural representation of scenes reflect global properties of scene structure, such as the openness of a space, or properties of objects within a space, such as naturalness. Interestingly, in the PPA (a scene-selective brain region), we find a high degree of similarity between scenes with similar spatial structures; however, in the LOC (a region sensitive to objects), we find a high degree of similarity between scenes that contain similar objects. These results suggest that there are multiple visual brain regions involved in analyzing different properties of a scene. We have also recently begun to address the relationship between summary statistics or ensemble perception and the recognition of real-world scenes. Are all ensembles processed using the same mechanisms? 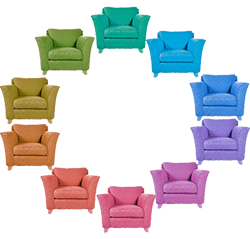 How does ensemble perception relate to texture perception and scene recognition? Park, S., Brady, T. F., Greene, M.R., and Oliva, A. (2011). Disentangling scene content from spatial boundary: Complementary roles for the PPA and LOC in representing real-world scenes. Journal of Neuroscience, 31(4), 1333-1340. Abstract. PDF. Haberman, J., Brady, T. F. and Alvarez, G.A. (2015). Individual differences in ensemble perception reveal multiple, independent levels of ensemble representation. Journal of Experimental Psychology: General, 144(2), 432-446. Abstract. PDF. Brady, T. F. and Alvarez, G.A. (2015). No evidence for a fixed object limit in working memory: Ensemble representations inflate estimates of working memory capacity for complex objects. Journal of Experimental Psychology: Learning, Memory and Cognition. Abstract. PDF. Brady, T. F., Shafer-Skelton, A., and Alvarez, G.A. (2017). 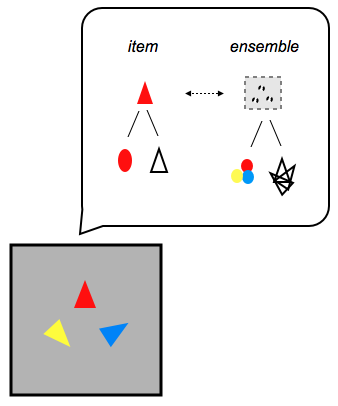 Global ensemble texture representations are critical to rapid scene perception. Journal of Experimental Psychology: Human Perception and Performance, 43(6), 1160-1176. Abstract. PDF. Visual perception is a problem of induction - we are given ambiguous input and must decide which of many possible interpretations is the correct understanding of the world. In middle-level vision, this is typically referred to as the problem of perceptual organization: how we take the bits and pieces of visual information that are available in the retinal image and structure them into larger units like objects. We have investigated perceptual organization across different spatial frequencies - how the blurry, low spatial frequency of an image and the fine, high spatial frequency details in that image interact to form our eventual percept. Our visual system is thought to break down images by spatial frequency early on in the visual pathway, so examining perceptual organization across spatial frequencies allows us to get a better idea of the types of integration the visual system has to deal with as it builds a representation of the world. We have concluded that assymmetric hysteresis effects allow our visual system to integrate across spatial frequencies in a way that provides us with the most accurate interpretation of the world as we move through it. Brady, T. F., and Oliva, A. (2012). Spatial frequency integration during active perception: Perceptual hysteresis when an object recedes. Frontiers in Perception Science, 3 (462), doi: 10.3389/fpsyg.2012.00462. Abstract. PDF. Open Access on Frontiers website.